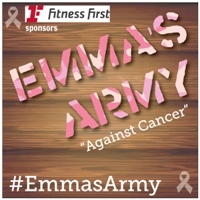 #EmmasArmy against Cancer is a campaign I am running, in which I am trying to get as many people as possible, to walk at least one section (approx 10 miles) of The Cotswold Way to raise money for Cancer Research UK. #EmmasArmy will walk side by side to fund raise for this. As I am Emma, I felt that I should walk the WHOLE THING. So… I am walking 102 miles over ten consecutive days in May. The intelligent amongst you, will realise this equates to roughly ten miles per day. (You can sponsor me here). Having just beaten Thyroid Cancer, not long after recovering from HELLP Syndrome before that, and the perils of a twin pregnancy before that… you might already know, that I am EXTREMELY unfit! I get out of breath walking a flight of stairs. However, I am COMMITTED to this campaign and to prove it, I’m going to share my training with you! Thank you to the generosity of my sponsor Fitness First… I am now a member of a pretty awesome gym. I started off going about 3-4 times a week. Whilst there, I do a bit of cardio. I’ve been winging it without a plan so far and done roughly the same thing each time I go. That is 2km of power walking on a treadmill on a steep incline, 1km on the cross trainer and 1km on the rowing machine, before a swim. Obviously swimming includes sauna and steam room to recuperate afterwards! I’ve recently ventured onto the weights too, but it quickly became apparent that I seriously needed some help with getting the most out of the gym. That’s when I decided to book a personal trainer. I need goals to work towards and I need to know which machines to use, to best reach those goals. I have GOT to be fit enough to walk ten miles a day in just over two months! Well this was quite a daunting process for me. I don’t like being “watched” in the gym. The thing is… a personal trainer HAS TO WATCH. 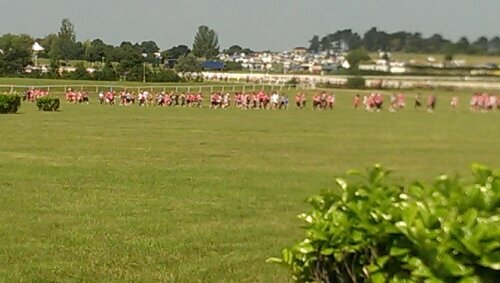 In fact, they watch very closely… every muscle, every bend, every wobble, every body shake. Let’s face it… our bodies usually only shake that way, after some heavy bedroom antics, so for someone to comment on your body shaking, whilst planking in the middle of the gym floor… it’s slightly awkward! It’s also difficult not to find unintended innuendos in the language of a personal trainer… but perhaps that’s just me? Maybe I simply have a filthy mind. I’ve got a tip for any of you ladies thinking of hiring a personal trainer… SHAVE YOUR LEGS! I thought I’d be able to get away with covering up the winter fuzz, with a pair of jogging bottoms. All was fine… until my PT asked me to roll up my trousers, so he could see my calves. Cue embarrassment. …And WHY is it so difficult to talk about bums and pelvic floors with a total stranger? This entry was posted in #EmmasArmy, Charity / Awareness, Fitness, Health, Radioactive mum, Sport, Uncategorized and tagged #EmmasArmy, Cancer Research UK, Charity, Emma's Army against cancer, fitness, Fitness First, Fundraising, health, joining a gym, meeting a Personal Trainer, The Cotswold Way, training. Bookmark the permalink. I’m sure it will all be worth it, good luck with the training. Talk about pelvic floors with a male stranger? No thanks! Sarah MumofThree World recently posted..How does your garden grow? I don’t know! Huge good luck huni! You’ll do it, I know you will. 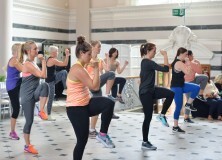 Look forward to hearing about your escapades with the Personal Trainer!